Gallatin County ranks first in the state in overall economic investment, according to a recent report. The report, published by New York-based financial tech company SmartAsset, evaluated counties based on several factors — including GDP growth, new building permits and municipal bonds — to create an aggregate score showing overall economic investment. The Bozeman Yellowstone International Airport surpassed 1 million total passengers over a 12 month period. From September 2014 to 2015, 1,000,483 passengers either boarded or exited a plane in Bozeman. The airport saw a 4.4% increase compared to September 2013 to 2014 numbers. Builder confidence in the market for newly constructed single-family homes continued its steady rise in September with a one point increase to a level of 62 on the National Association of Home Builders/Wells Fargo Housing Market Index (HMI). It is the highest reading since October 2005. Existing home sales, as reported by the National Association of Realtors (NAR), rose to the highest pace in six years in May. The report was also notable due to an increase in purchases by first-time buyers, which rose to the highest share experienced since September 2012. Nice four bedroom two bath three car garage. 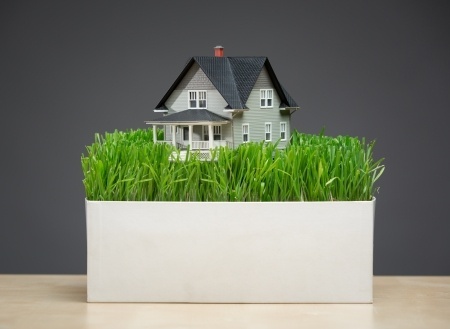 Green homebuilding is no longer a fad, it is becoming more and more main stream every day. Here are some of the hot simple trends to incorporate into home design.